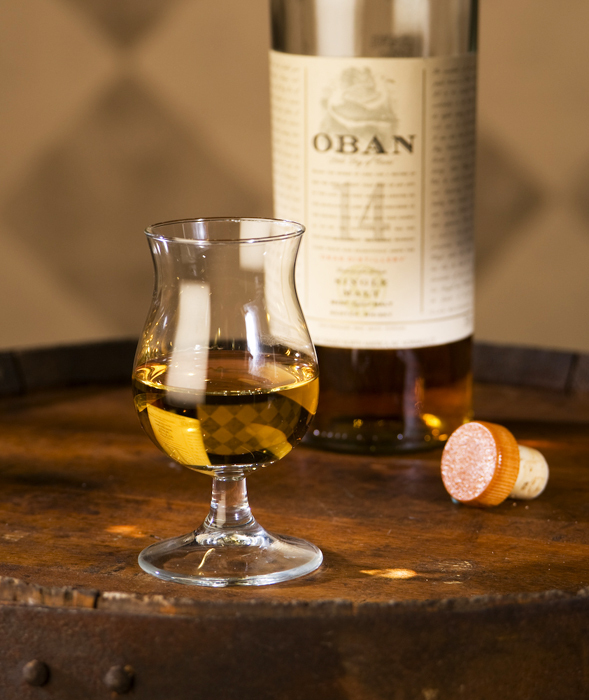 Oban 14- There is something fishy about this Western Highland malt, primarily because it harkens from the town of Oban which was a fishing village for hundreds of years before the distillery was constructed in the late 1700’s. Talk about a rich history ….you can detect a slightly salty air in your glass if you give it a chance to linger . Richly colored like an amber jewel , this smooth and slightly malty scotch has a dry delicious texture on the palate . I detected subtle creaminess in my second glass which made me think this would be a fine after dinner dram, perfect for following your grilled beef or venison. There is a subtle but delightful bit of peat balanced by some fruit mid taste. I image this as the ideal reward for landing a “keeper” on a dry fly. Easily an 8+. Oh, and to avoid sounding like a rookie….remember when ordering that the A is silent. 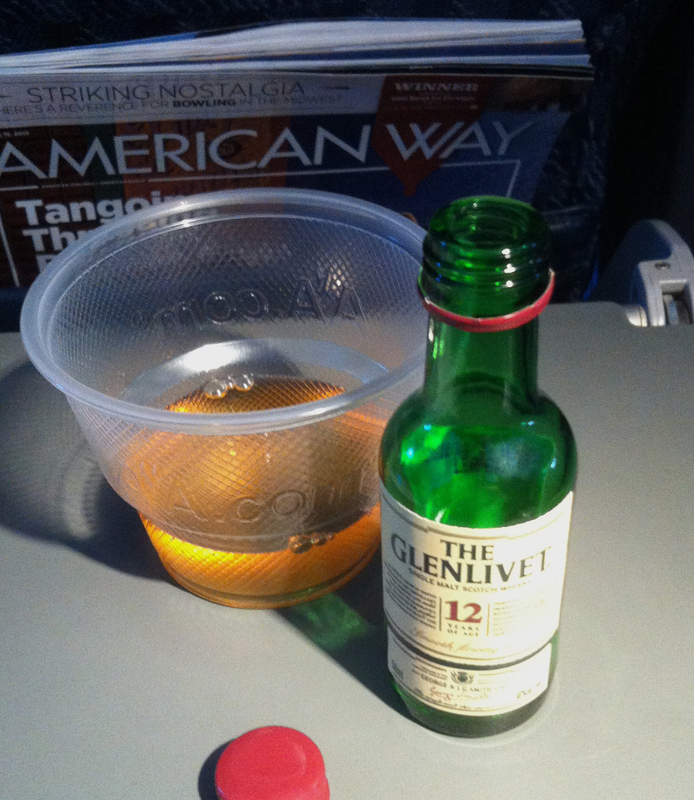 Glenlivet 12 Airline Mini- Here’s a first…. the snob manages a stellar review at 32,000 feet. Enjoying a fine scotch is part tasting and part overall experience. Who need a crystal glass when American Airlines offers up a charming embossed plastic cup. Additionally, the warmth of the genuine Formica folding table (complete with propaganda literature in the clever seat back pocket) enhances our enjoyment. This refined highland whisky has subtle floral notes with very light peating. Somehow during the process, even the roar of the 757’s massive jet engines seemed to mellow out after a few sips. I found vanilla and spicy fruit flavors in this extremely smooth malt, and its golden color brightened up the cabin of my aluminum transporter. I recommend this mile high treat to even my pilot friends…once you touch down. My apologies for the inferior photo on this post, the iphone was bouncing around and my lighting isn’t up to the usual snob standards…I rated this well traveled scotch a solid 8.